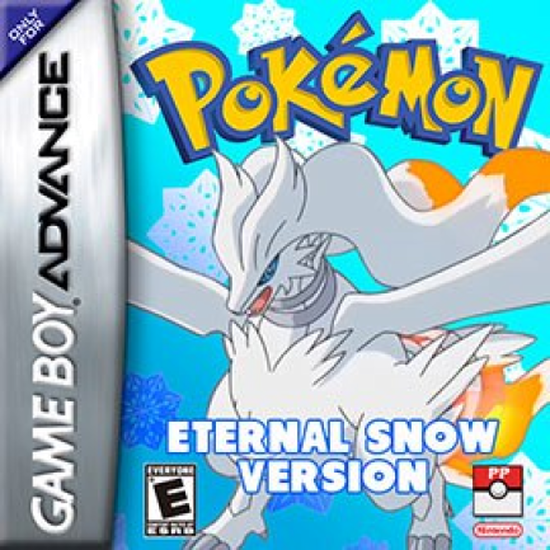 Pokemon Eternal Snow ,in This hack there are more than 650 Pokémon. Updated sprites attack characteristics, screaming. In pokedeks added to the page with the new generations. Introduced magical type Pokémon, the evolution of elements, the system update – at night, according to acquire the experience to capture wild Pokémon. redrawn graphics, combat environments, the weather. 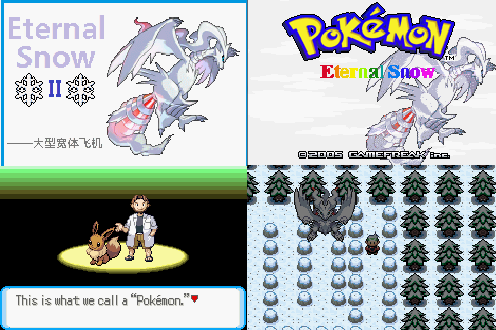 MegaEvolution replace conventional forms of Pokémon or habitual evolution. After the Hohen League have the opportunity to explore two other area brand.This game has 18 different types of Gym and 3 Leagues. At the beginning, you will see a special area. The first League is the same as Emerald the second league is N league, he will use five kind of weather team, they are sandstorm, sunny, rainy, snowy and regular team. The third League is a five continuous battle, you cannot relax until you win or loss in this whole battle. New Evolution Methods have been added, like Map Name Evolution, Move Name Evolution, etc. New regions after defeat the first League, you can have a trip on space such as Mars, Venus, Pluto and etc.